Front Row: Cathy Lopez, Cammie Poole, Marissa Stiles, Helen Wyble, Crystal Chamberlain. 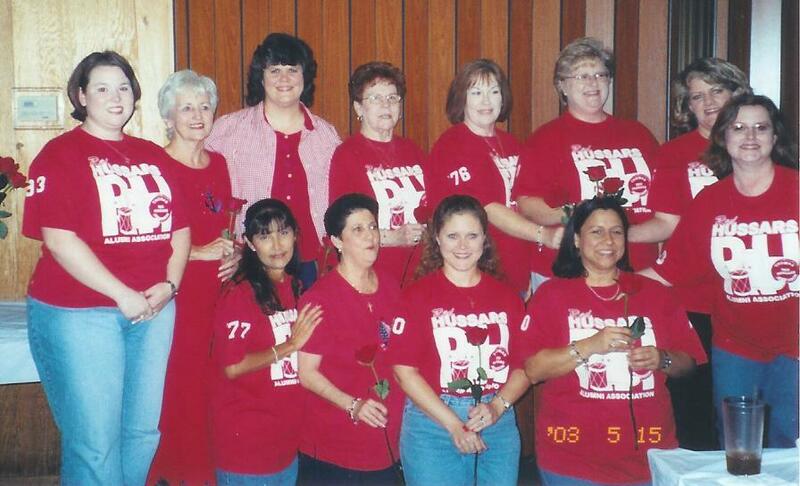 Back Row: Christine Collazo, Pam Wyble, Debbie Theriot, Paula Shepherd, Arlene Howland. 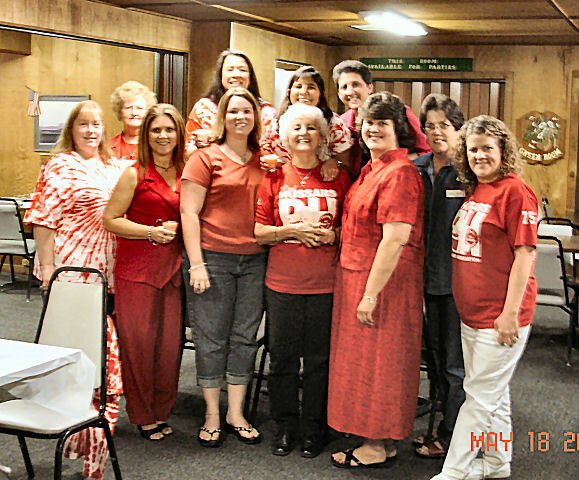 Debbie Theriot - Historian; Paula Sheppard - Parlimentarian; Cammie Pool - Treasurer; Pam Yates - Public Relations; Bonnie Ransonette (standing) - Public Relations Asst. Marissa Stiles - Past President; Helen Wyble - President; Christel Chamberlain - Vice President; Majorie Broussard - Secretary; Cathy Lopez & Christina Collazo - Instrument Quartermasters; Maeve East - Uniform Quartermaster.